A really nice dining experience. The best dining experience we had in Keystone over several visits. Food was excellent as was the service. Great food and service. Very helpful staff and everything was cooked to perfection. We had a filet and flatiron steak dinner. Great drinks too. Highly recommend the bourbon old fashioned. Yum! Flat Iron Steak and Mushroom Ravioli were very good. Prices reasonable in comparison with other restaurants in Keystone. Very nice atmosphere with view of Keystone Lake and mountains. Outstanding meal after a day on the slopes! Highly recommend!!!! The Brussels sprouts appetizer was burnt. Not good. The beef filet was excellent. The scallops were nicely cooked but the coconut sauce was overwhelming. The evening started with me getting my kids a couple of shirley temples at the bar. We were staying at the resort for six nights. The host that night rushed over demanding I remove my children from the bar. It was 5:30 PM. I understand we were committing a felony; he could have handled it much differently. I calmly informed him of our reservation. He kindly got us seated and let us keep our wet gloves by the fire, a nice gesture. We ordered the tuna and shrimp appetizers; neither were notable. The service was attentive. We split the salmon, served well done and with no notable flavor. I would suggest others try another entree. I like the bar - great service - and vibe here. Towards the middle of our dinner, our kids were not being all that good. We cut it short. There are few options at this level in Keystone- I would give it another go and try different options. Nice time. Service was slow at first but then became very attentive. Onion Soup was mediocre but our main courses were very tasty. Ambiance is very nice and comfortable. This restaurant was a great choice during our trip to Keystone. 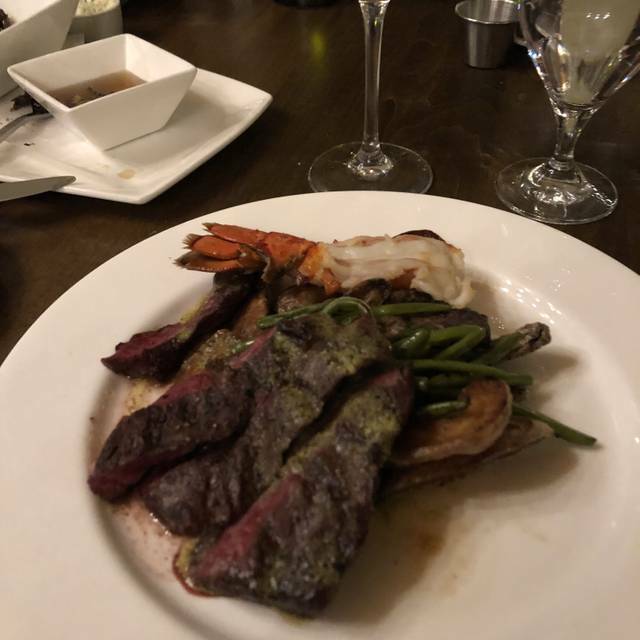 The food was good, our server was great and it was an easy shuttle ride away from the condo we were staying at in the Mountain House area. I would definitely recommend this place! Prices were high relative to the quality of food. View from window seating was spectacular. Our waiter was knowledgeable, courteous and professional. We came here to enjoy our only night staying in Keystone. The service was wonderful. Our server was so charming and friendly, we would come back just to see him! The food was not 5 star but it was fine. The mushroom ravioli was my favorite dish on the table. The view of the ice skating rink at night is so charming. 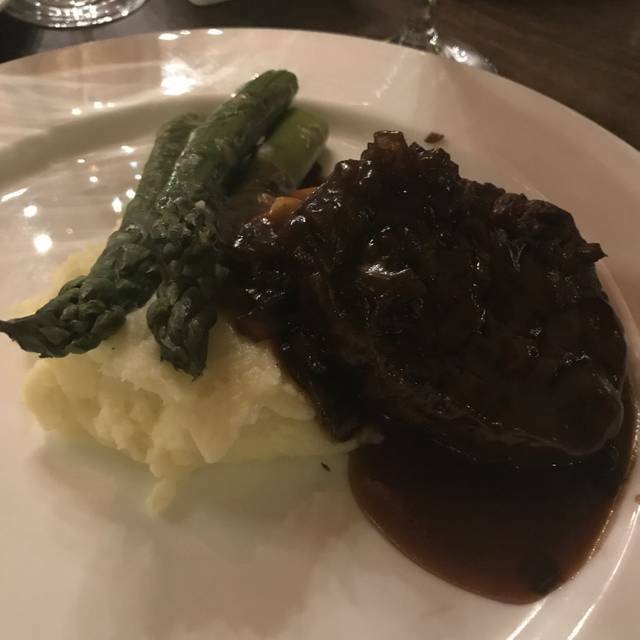 The charm of the restaurant and experience is more of a draw than the food, but if you’re not expecting it to be amazing then it’s a perfectly great spot for your evening! I think it’s a wonderful dinner spot in Keystone! Food was excellent. The ambiance was excellent but the service was subpar (just our server) not the rest of the team. Food was great. Waiter was lovely. Enjoyed the specials. Family friendly, there were a lot of kids. The food (selection and quality) was fantastic. The restaurant is a bit dated but don’t let that deter you from trying. Located on the back side of the Keystone Lodge with views of the ice rink and ample space between tables, the experience is delightful. We will definitely dine there again. This was our second time at Big Horn. We liked it so much the first time we went back. For appetizers we had the calamari and French Onion soup. Definitely recommend both! We also had the prime rib, scallops, filet, and kids burger. All were superb. For dessert we had mousse and bread pudding. Again- all were amazing. Our server, Eric, was excellent. His food recommendations were great and he was super sweet to my two daughters. Ask for him if you want excellent service. We will go back each year we visit Keystone. We are repeat customers and hope to come back. The food (salmon and curried ginger soup) were quite good. The service was also good. Only issue was we did not receive a table in the view area we had requested. The service was amazing! Always refilling your glass of water, always asking if there was anything else we needed, very attentive. On the other hand, the food, horrible. I am not a picky eater, I eat everything. But I have to say the food was horrible. We were a group of 7 and we all had something to say about the food. I started with the French onion soup. It was cold, the bread on top was hard, it had no flavor, and there was no actual broth inside. Then I ordered the lobster Mac and cheese. 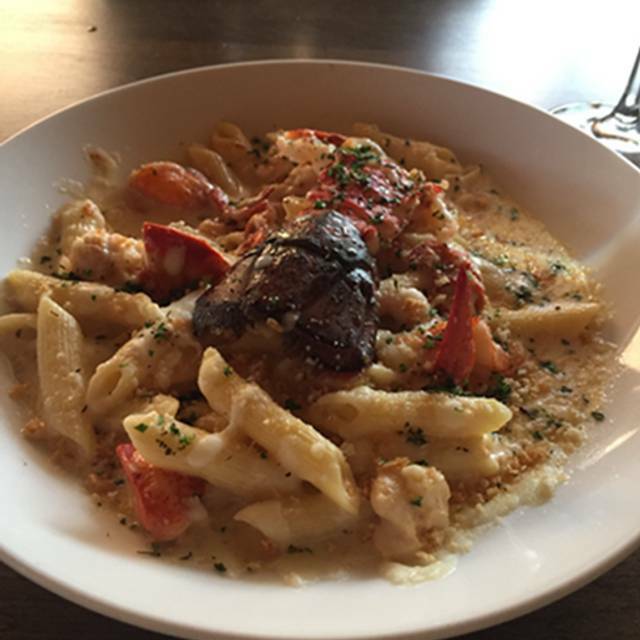 The lobster was not cooked, the pasta had no flavor and seasoning. We also ordered the scallops. The scallops had a strong fishy smell and taste and were also not cooked all the way through. Overall, I would not recommend this restaurant. Very over priced for the quality of food. It was a superb dining experience! The atmosphere was relaxing, the food was delicious and the food was excellent. I highly recommend and would visit again! great dining experience at Keystone! The hostess was incredibly sweet and accommodating when we called to let them know we were running late. Our server was a delight. French onion soup and large lobster Mac n cheese were awesome! We had the mushroom ravioli which was mainly bechamel sauce; literally "drowning" in it. Even after scraping most of it off and eating the ravioli underneath, couldn't eat the small mushrooms on top without a spoonful of the sauce. My husband said the onion soup was bland. Also had winter salad that he ate, but I thought was overdressed. My bad should have asked for dressing on the side. Service was fine. Waiter gave a partial credit for the ravioli. Room is large and not many people present, so quiet. Food was decent, little overpriced for the flavor. Ambiance was great, over looking the frozen lake was definitely cool! Overall a good date spot. Jim provided terrible service. He was a positive fellow but clueless when it came to dinner etiquiet, multi-tasking, and serving in a timely manner. The food was ok only for the price. The fillet minion was deeply charred on one side and the potatoes were terrible. They tasted like old box potatoes with very little flavor. The pork chops and Galbi bowl were ok but not worth the high dollar. We have eaten at this restaurant last season and was really excited about it. The menu changed and so didn't the food quality. New chef? We were disappointed and definitely won't come back if the food stays the same. Bighorn never fails to disappoint me. When you get right down to it, this is a hotel restaurant with all the limitations that imposes on the restaurateur. That being said, if you're in the Keystone area this is a great place to stop. "Easy to get to from all of Summit County as well as anywhere in the Keystone resort itself. If at all possible, ask for a lake view seat. In the winter when we were visiting, there is ice skating which was fun to watch. Service was not up to par. Second time in a couple of weeks we were served cold potholes. Steak frite was not cooked to order either. I eat here several times a year and this night was sub par. The food was amazing, as was our server Cody. I was with a group of 6, my food came out cold but it very tasty and prepared correctly. The restaurant was cold but the ambience was amazing. Being right by the lake gave us a wonderful view. Fantastic vegeterian dinner after a day on the Mountain. Excellent food. Outstanding service in a relaxed and inviting atmosphere. I am working with the General Manager, Ashley Miller regarding a negative experience. If she follows through with everything that she states, I will have nothing but great things to say about this facility. Beautiful venue, wait staff was good. But food really didn’t have any flavor and was extremely overpriced. Would not go back. Get a window seat. View is amazing. Overall very good however I had requested and confirmed a window table. Upon arrival that again was confirmed prior to a drink and appetizer in the bar. When we went to dinner all of a sudden no window table! Ridiculous, but after some discussion with a manager we were given a nice window table as requested and confirmed. Just should not have to go thru that dialogue! Enjoyed a nice dinner and very good service. We eat here almost every New Year’s Eve. Service was good, food just average and my wife’s dinner was not good at all. In fact she did not eat it.